Thank you for 8 wonderful years. 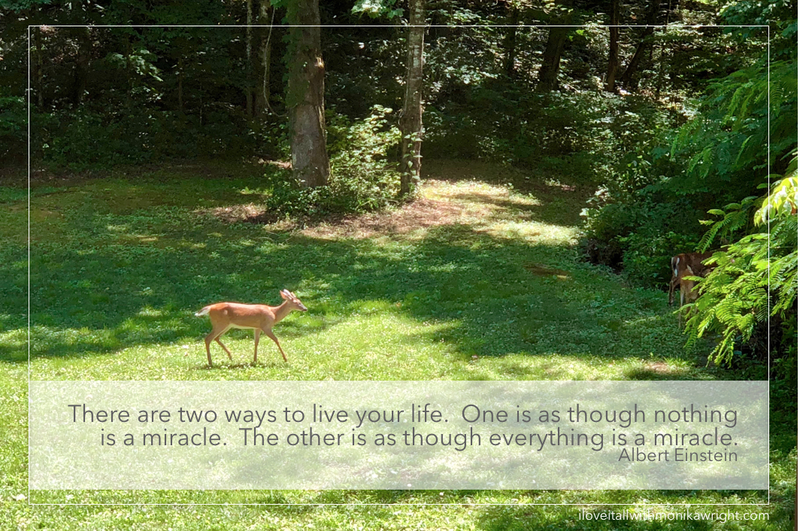 Thank you for supporting my shop full of handmade goodness made in the Smoky Mountains of East Tennessee. Thank you for loving pretty paper, art prints, mini books and crafty supplies as much as I do. And thank you for sticking around and always finding new things to love, I appreciate you! for 40% anniversary sale savings on the entire shop! Who's ready for some summertime fun? Yeah, that's me raising my hand! And oh my gosh, how did it get to be July already? Time flies when you're having fun, yeah that must be it. 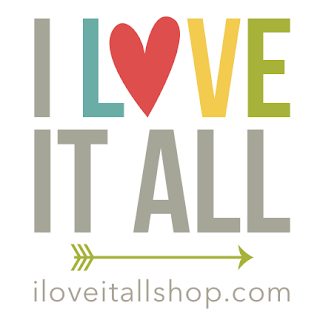 I'd love to see pics of how you're using your calendar, just tag me on Instagram, I'm @iloveitallshop and use #iloveitallshop so I can find you! 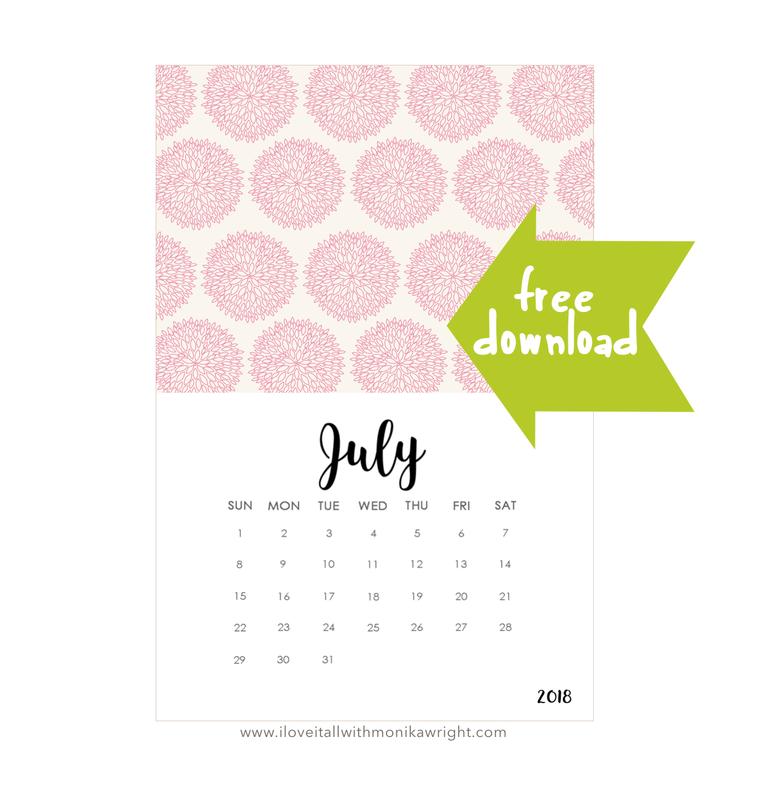 Download your free July calendar cutie today and add it to your memory keeping projects tomorrow. I am always in search of a bookmark. Always. 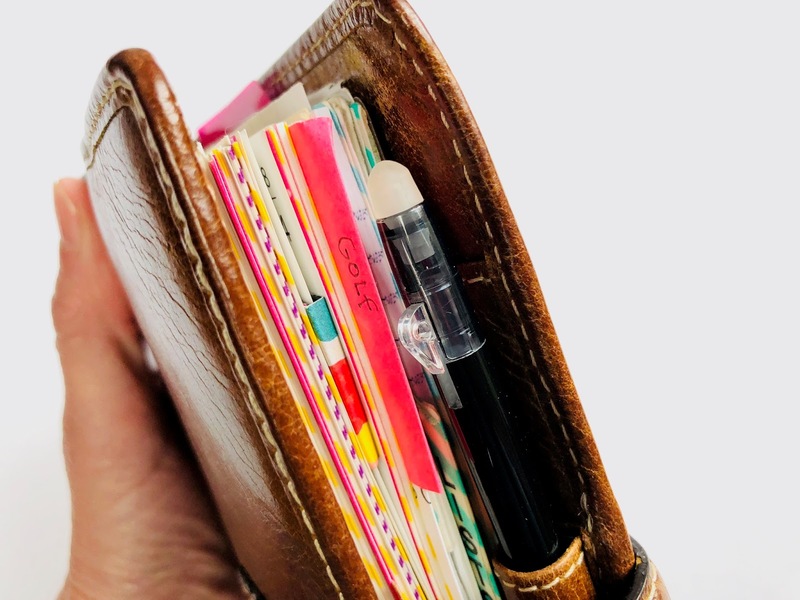 Most of the time, I end up using slips of paper, receipts, candy wrappers or sticky notes. I am not one to turn down a page, I cannot stand dog-eared corners, so I'm always in neeeeed of a bookmark. The problem is that I can't always remember my page number because it's not all that unusual for me to be reading three, or six, different books at any one time. 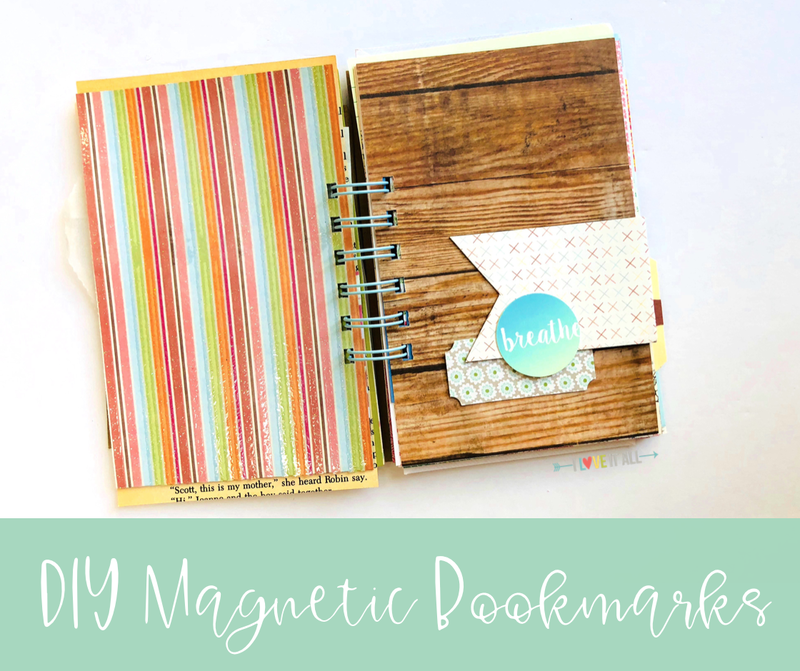 And then I had an idea that would cost me aboslutely nothing...DIY magnetic bookmarks! 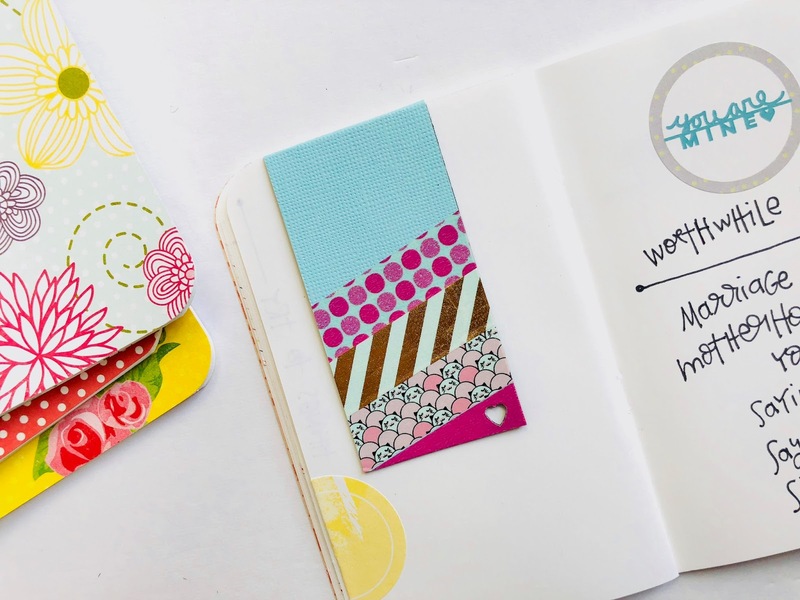 If you don't have a stash of those freebie magnets we all seem to pick up from time to time, you can also find magnetic blanks at craft stores and online. I suppose you can use any adhesive, I just like using a glue stick because it allows me to line up my paper and move it around just a bit before it becomes permanently adhered. You'll see what I mean once we get started. 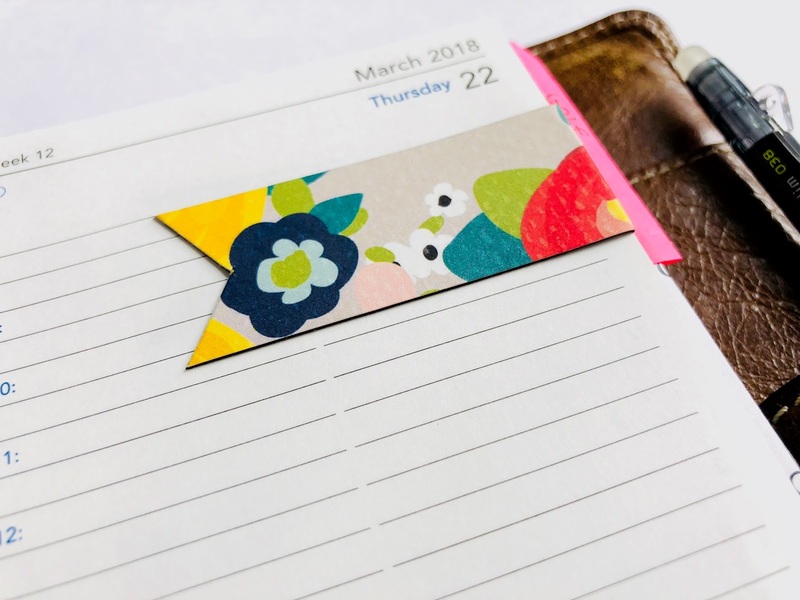 And, if you don't have a stash of those freebie magnets we all seem to pick up from time to time, you can also find magnetic blanks at craft and discount stores and online. 1. 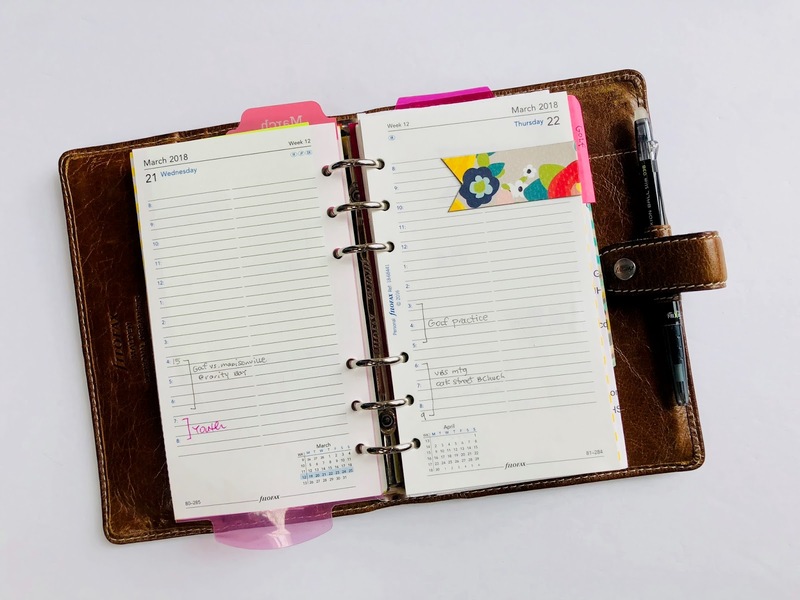 Apply adhesive to your cardstock, I like using a glue stick, being careful to only apply glue to the area where the magnet will be attached and to also leave a gap between your magnets. This will be where your bookmark is folded over. 2. Now we'll trim along the longer straight edge. 3. Along the two shorter edges, you'll want to score the cardstock lightly so as not to pierce the paper. You just want a light score to help you fold over the two sides of the magnet more easily. 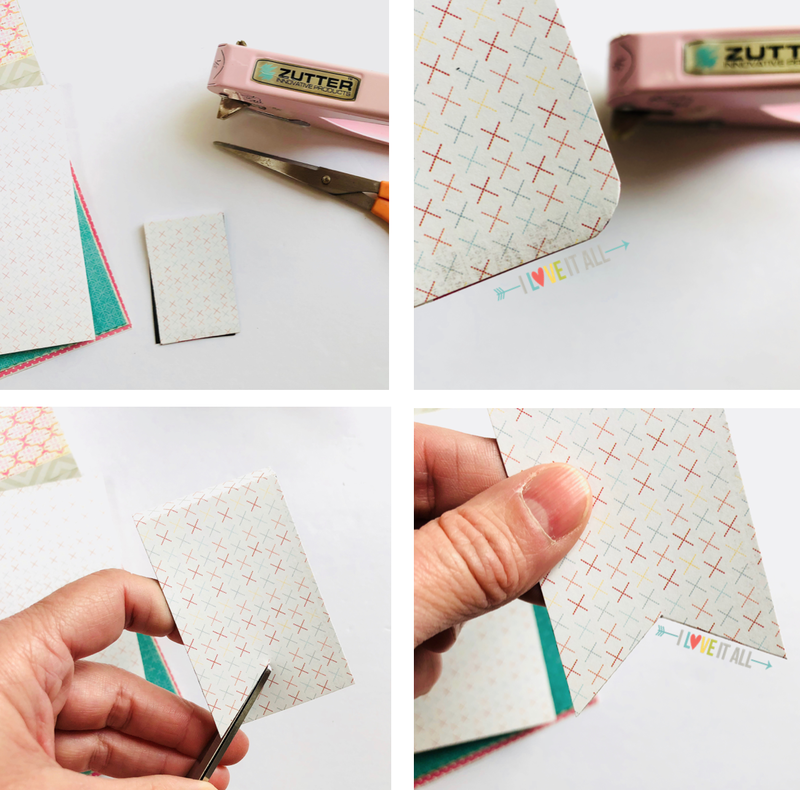 Even your tiniest little scraps of pretty paper can be utilized for tons of sweet little magnetic bookmarks. 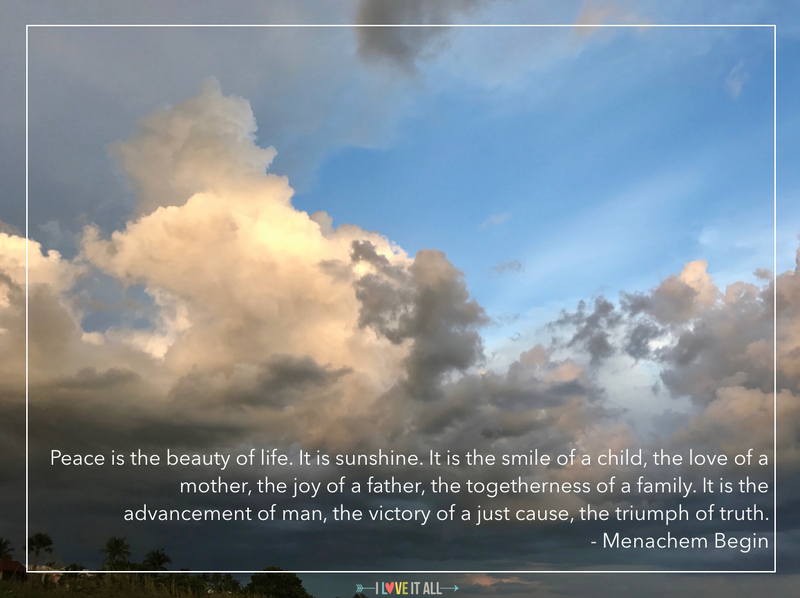 I'm using this one as a page marker that helps me to flip to TODAY whenever I need to. 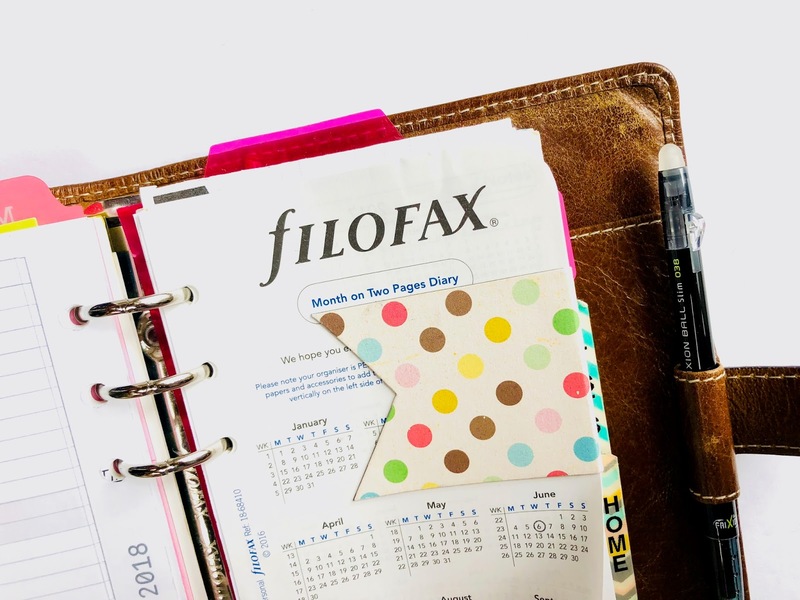 When I open my Filofax, I can see where my bookmark is and know that that's today's current calendar page. 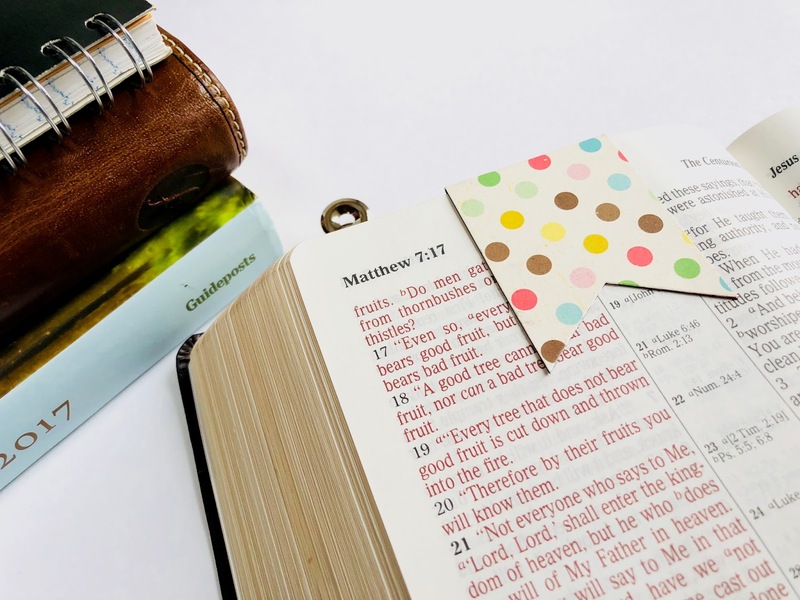 Oh, so you saw that larger polka dotted bookmark, too? That's the bookmark I use for my month on two page for my forward planning. 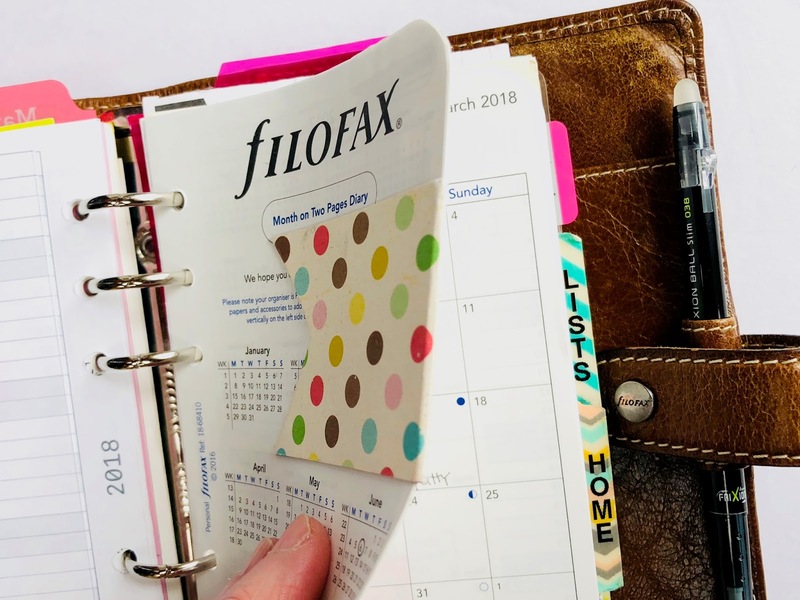 I only keep a few months of my daily pages pages in my planner and with this larger magnetic bookmark, I can spot it in an instant and am able to flip right to my monthly calendar pages. 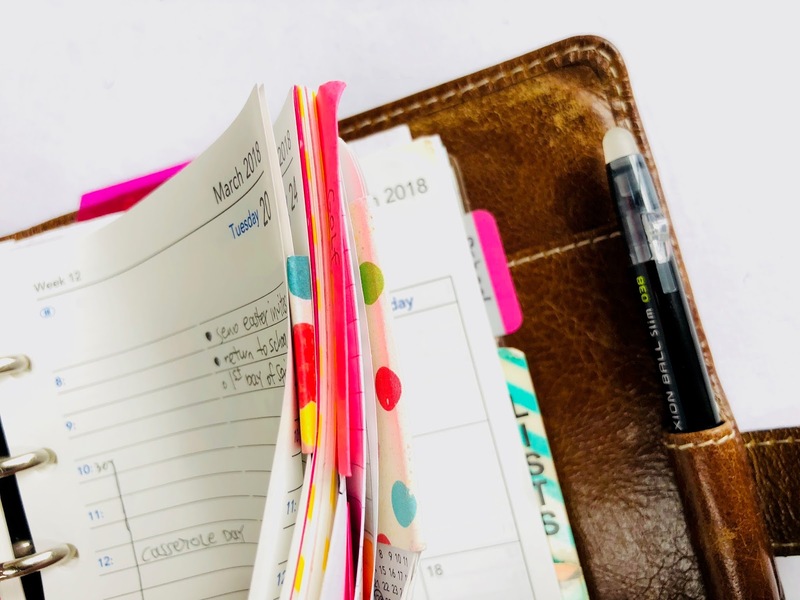 I often photograph my travelers notebook pages for monthly listing challenges and these magnetic bookmarks work beautifully when wanting to hold down a page. 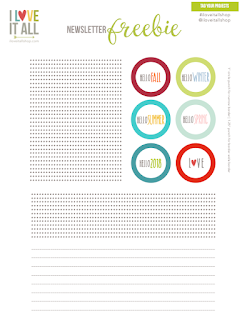 Or even as a bookmark to find the list for that day's journaling. You can see more of the lists in this travelers notebook journal here and find fun patterns and solids in the sizes Standard Midori, A6, Field Notes, Pocket, Passport and Mini in my shop here. 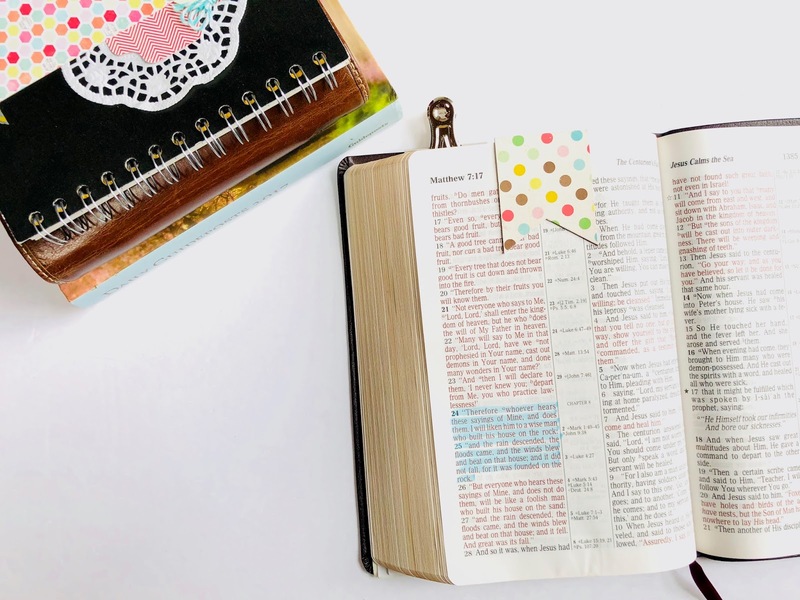 When I do my devotional reading, I sometimes take notes, underline passages and want to make sure I can find my place again. 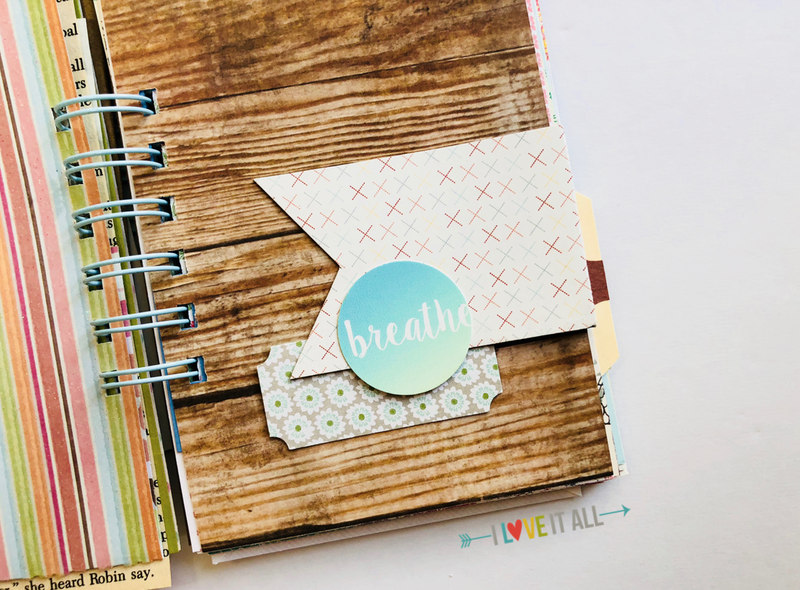 You know how much I love mini books and these little magnets are a great way to add texture and a whole lot of fun. I have so many fun mini books in my shop here. If you make your own magnetic bookmarks, tag me on Instagram, I'm @iloveitallshop, with the hashtag #iloveitallshop so I can take a peek at your cutie pie magnetic bookmark creations. Or leave me link in the comments so I can take peek at yours. 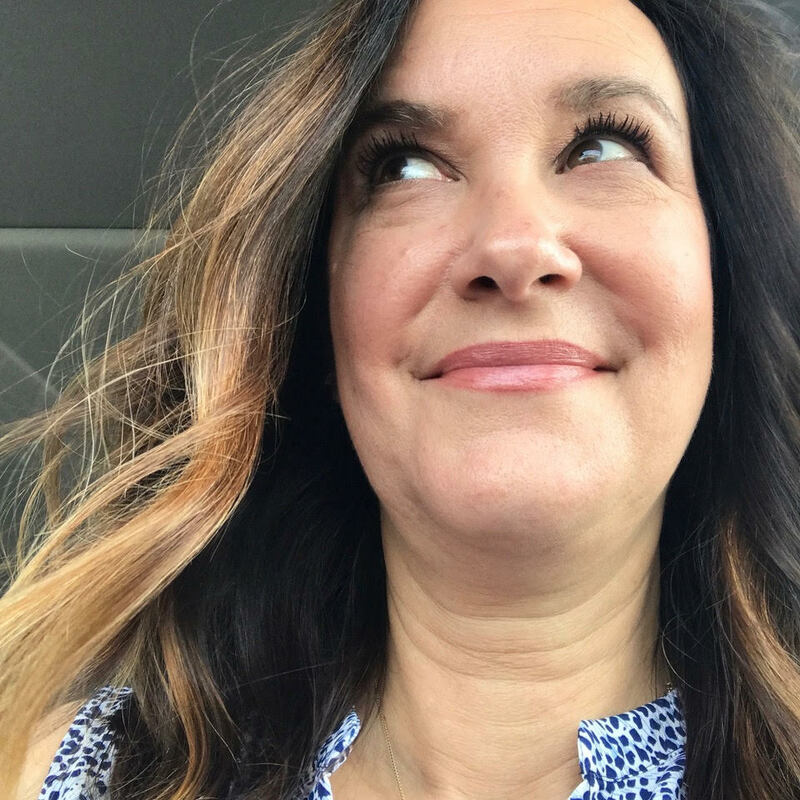 When the kids got of school this year, believe it or not our summer vacay started the last week of May, I made a conscious effort to not "plan" our days away. 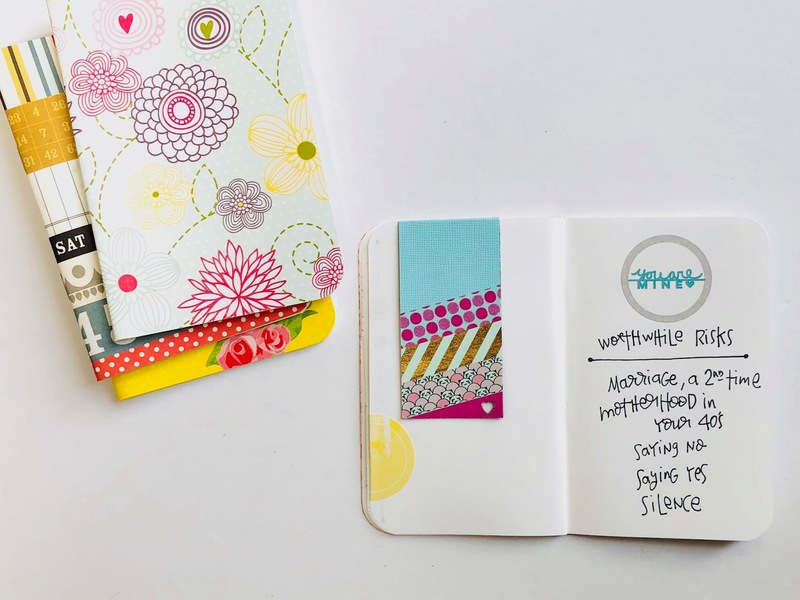 One of the things I wanted us to all to do together was art journal. It's a spin off of an idea Ali Edwards shared and I loved the idea. 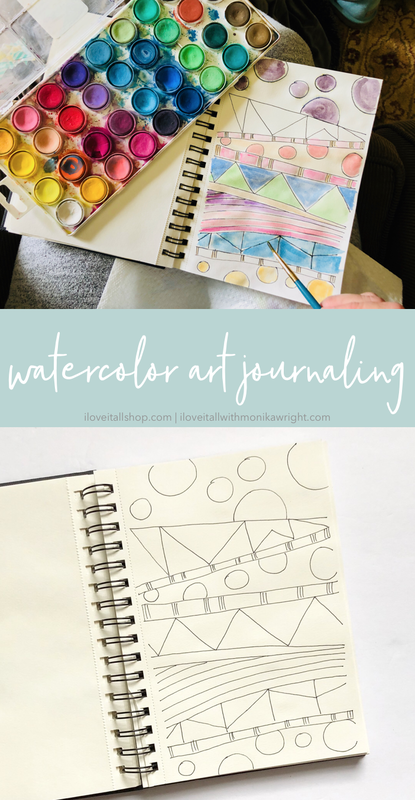 I chose a watercolor art journal, I like to go with themes, the girls chose a more random approach...mostly drawing. I see it as a way of sneaking in some time with my girls where some nice conversation will develop as we just sit there together creating. Sneaky Mommy, right? 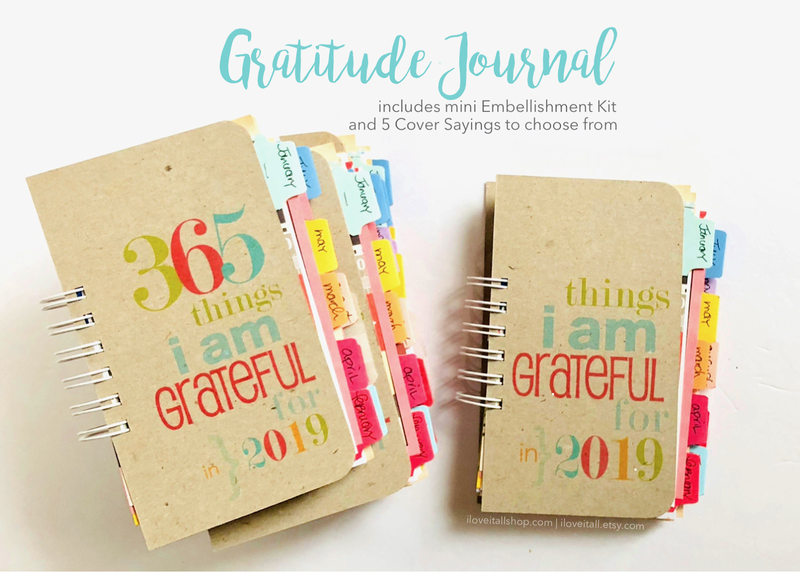 We happened to be in WalMart one day and headed to the craft aisles to find our journal, which happened to be in the $5.00 range. 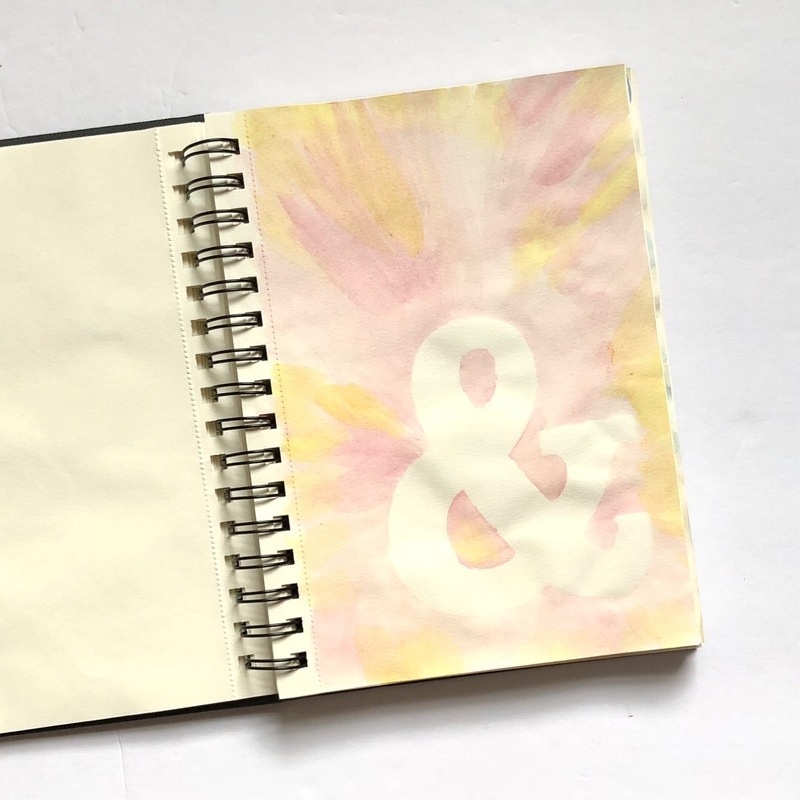 After doing some watercolor on my pages, I'm thinking the journals we chose are more for drawing and "dry" art journaling. My watercoloring is causing my pages to wrinkle, but I'm fine with that. Just wanted you to know that you may wish to choose paper specifically for the medium you are choosing to do. I used a stencil to achieve this design.